As an ex-rally driver and navigator, Egai Ortiz Luis is no stranger to cars. The owner of Shelby Auto Station, a restoration shop in Meycauayan, Bulacan, he is an experienced custodian of skillfully revived vehicles. 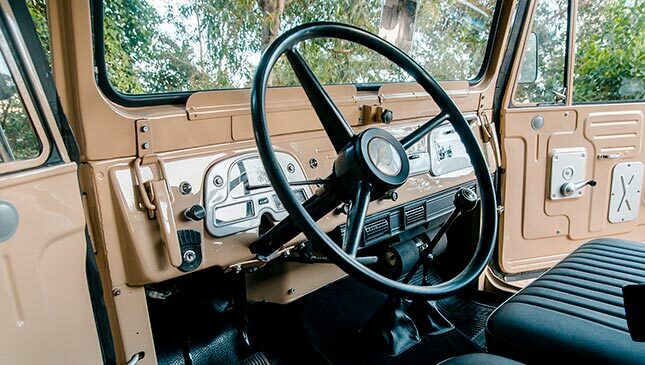 This is his latest pride and joy: A period-correct Land Cruiser that he and his son have restored. It all started with a fortuitous trip to Pampanga. After a quick meal at a nondescript roadside eatery, Egai walked around the neighborhood to see if he could chance upon any barn finds. 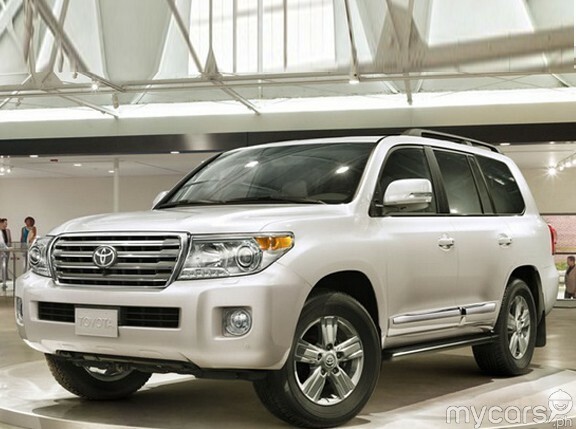 He found this Land Cruiser tucked away in a garage and immediately made his move. 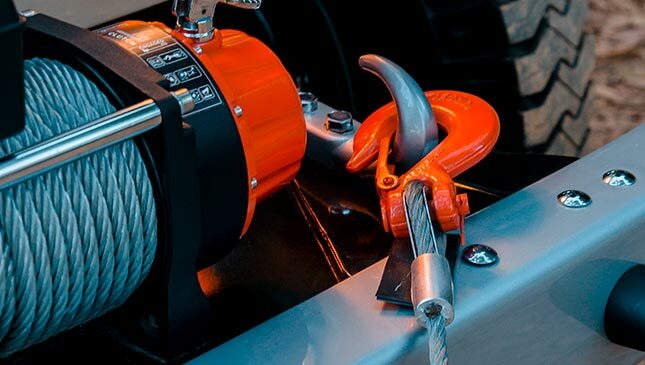 Initial attempts to buy the truck didn’t go very well, but after seven months of calling the owner every week, he was finally able to make the purchase. 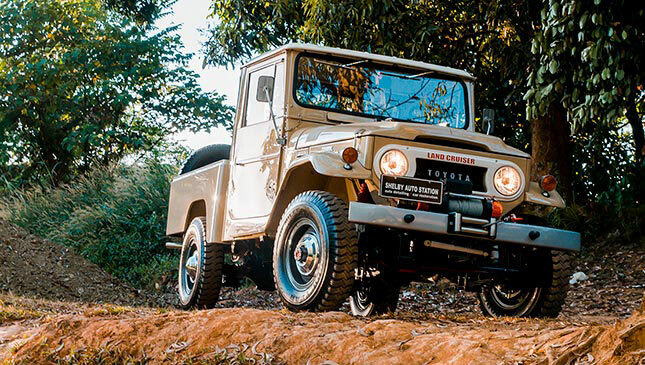 It has to be said that this short-wheelbase FJ45 pickup from 1965 is one of the rarest Land Cruisers—if not one of the rarest Toyotas—ever produced. The short-wheelbase trucks were around for only a couple of years, and according to Egai, only 2,000 were produced for the US market. 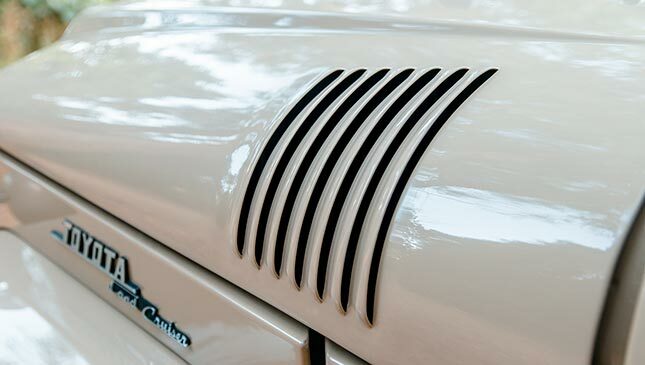 What we have here is a true gem among vintage Land Cruisers. 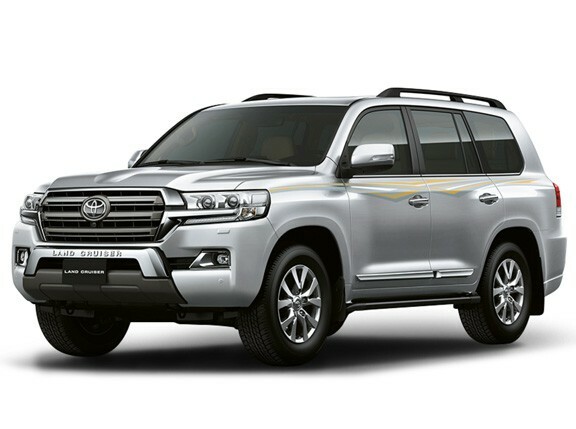 As Egai puts it, you may have all the resources to restore an old-school Land Cruiser, but to have an actual specimen of an extremely rare model? That’s a completely different story. 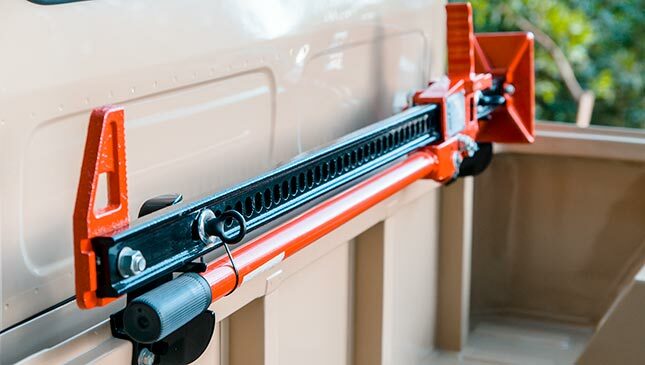 The restoration of the truck took about three years to complete, but during the first two months, Egai prioritized sorting out all the mechanical bits. 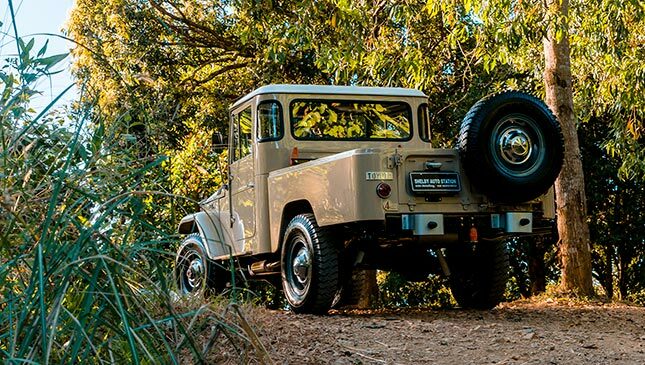 Having lost its original engine, the truck packed an Isuzu diesel engine and drivetrain. 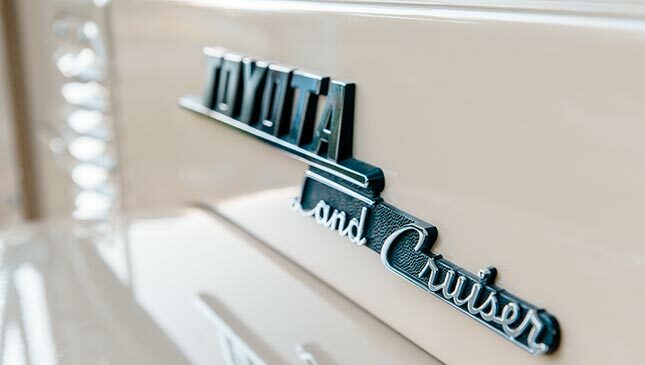 These non-Toyota items were the first to go; they were replaced with the correct parts from a donor truck, a 1969 Land Cruiser. 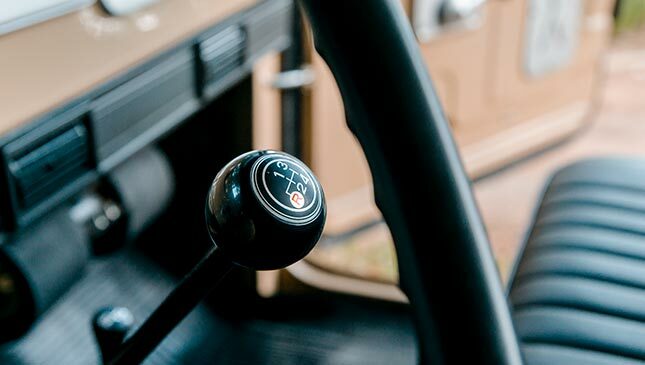 The 2.4-liter 2F single-carb straight-six puts out around 135hp and is mated to a low-gear, floor-mounted four-speed gearbox (earlier models had column shifters). The engine was rebuilt from the inside out and was finished with some nice paint and chrome detailing. The drivetrain and the brakes were already set up well before the truck was sent in for panel restoration and painting. 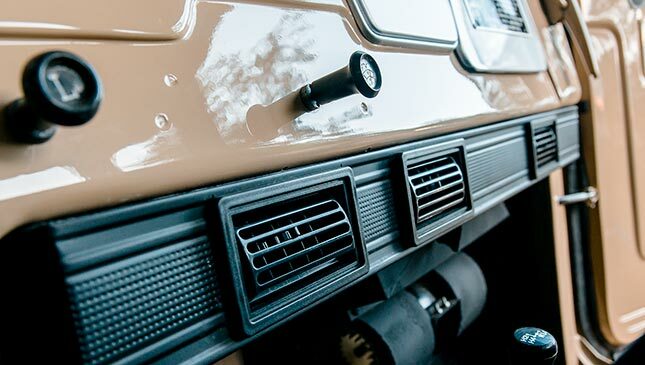 The beautiful Sahara Tan hue is a period- and model-correct color—it is designated on the original serial-number plate. 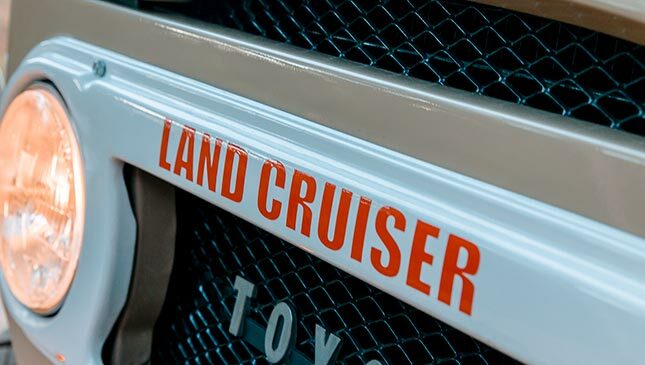 There is an abundance of Land Cruiser restoration parts available globally, with companies like Cool Cruisers and Specter Off-Road stocking new, old-stock, or reproduction items. Egai had the means to procure these, making the restoration process easier. 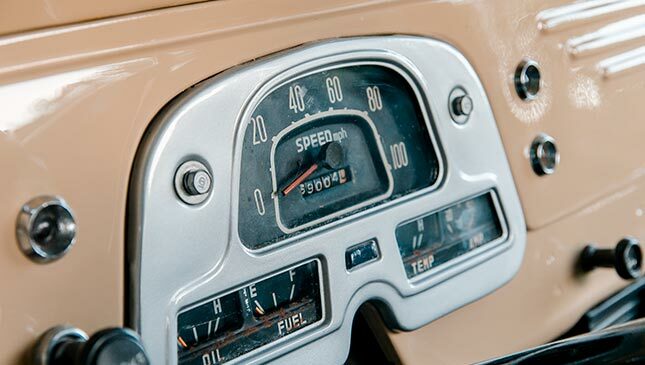 Things like switches and signal-light assemblies can be had as reproductions, but there are also some sweet original pieces on the car—for instance, he won the gauge cluster, the switch internals, and the steering wheel from an eBay bid. Other notable items include an original Land Cruiser toolbox, a hard-to-find owner’s manual, and a set of Goodyear Hi-Miler tires. 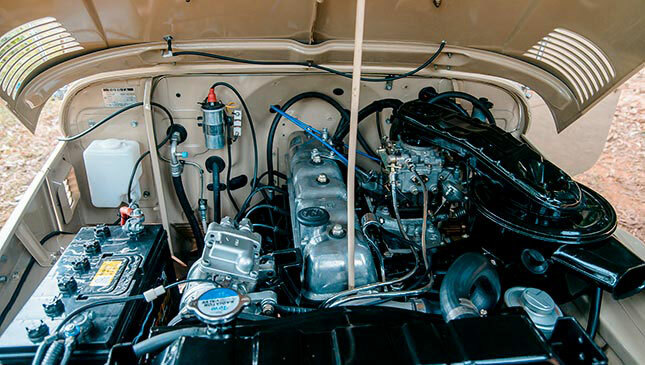 Asked about his original objectives for this build, Egai mentions that he was really after a full period-correct restoration, with the goal of entering the truck into shows. 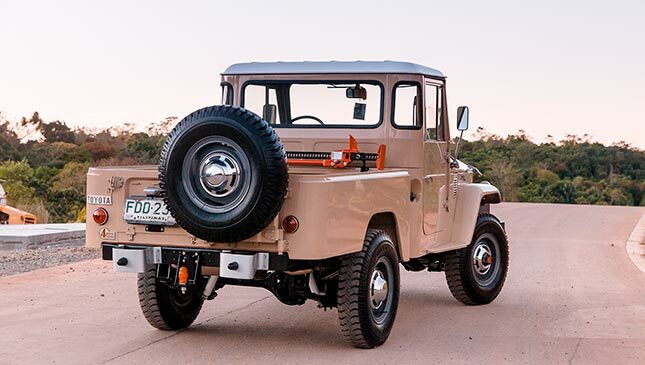 Both this FJ45 and its owners are lucky: Egai and his son for finding and restoring a rare machine, and the Land Cruiser for ending up with an amazing automotive restorer hell-bent on giving it a proper rebirth. 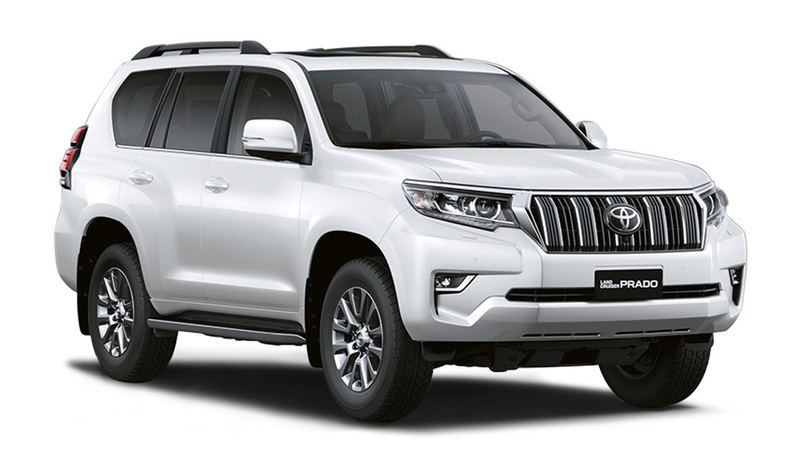 Since its show-circuit debut, it has won a number of Best of Show trophies, the most notable of which is the Best of Show honors at the 2017 Manila International Auto Show. 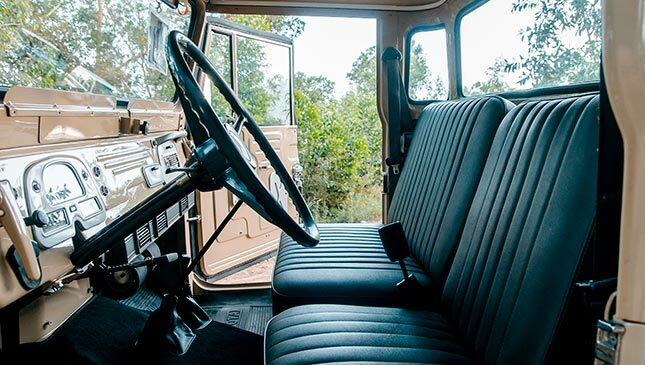 Since then, it has been upgraded with power steering from a later model, a custom air-conditioning setup, some uprated Rancho Performance shocks, and a modern winch. And now that it has won a couple of awards, it’s time for the father-and-son duo to finally enjoy the truck as it was meant to be used. Roam free, you majestic beast. NOTE: This article originally appeared in Top Gear Philippines' April 2018 issue.